This is one of the items that you can consider when it comes to trailing activities. 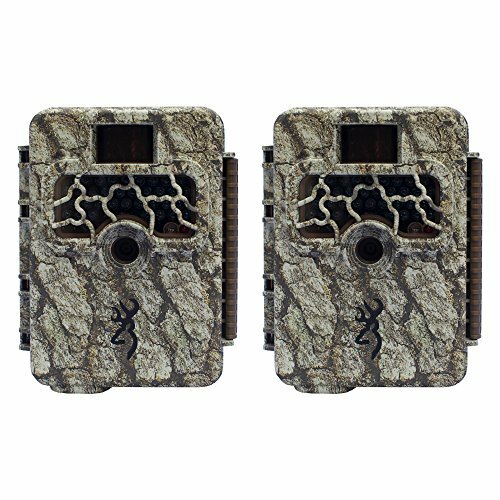 The Browning Strike Force Elite camera is capable of doing things which a typical trail camera cannot do. With its 55’ detection range of PIR motion sensor, it will just be an easy thing for you to capture movements of your target at any moment, meaning it can quickly catch any actions of your subjects, animals and all in just a short moment following its scope of detection. It has .4 second trigger speed, so you will not have to worry that your subjects can escape the picture that easily. With regards to night-time or a dark environment, the new Browning strike camera has an Infrared 36-LED Flash with 100′ Range which lets you capture subjects in motion even at dark. Along with this is its Zero blur feature for clear night shots, it is one of the game trail cameras that you could use at any particular time of the day. Moreover, it provides an HD 1280 x 720 Video with sound recorder, to give a perfect record of your subjects at a specific position and time. As for its structure, the components are just easy to set up, but just be careful in handling and installing the parts for they can be sensitive and might cause for them to malfunction. Also, there can be tendencies when the subject cannot be captured through the sensor for it is beyond the capacity of its motion sensor, so better be more cautious of where to position it, for accurate recording of your subjects. Though it has some limitations, it is a fact that it would turn out useful as a trail gaming camera and at the same time, as a security camera around your house, depending on how you would like to use it. The Browning brand provides another game-trail camera which you can use in your hunting activity. With the Dark Ops Elite Camera, your hunting experience would not be the same as always. It is capable in producing ten mega-pixel images, for much clearer quality of pictures and has a 0.4-second trigger which lets you captures subjects at a fast motion. Now you will not have to worry whether your targets are at a quick pace. It also has an Invisible “Night Vision” with no glow infrared LED illumination which makes your capture as stealth as possible without giving a hint or a surprise cue to your subjects. Also, with its 70-foot range and 20-second nighttime video, your scope of detecting subjects even at night-time would just be smooth and would turn out much swift compared to the usual. It also features Time Lapse Plus, which enables you to use it as a game trail even at daytime or night-time which makes it more convenient. This package also includes a 16GB SD memory card from SanDisk which can hold up to 6,160 photos on a 10 MP camera or 240 minutes of video when recording at 9 Mbps. Though it provides 1280 x 720 HD videos with audio recording, it is only limited from five seconds up to two minutes at a time which makes the record limited. 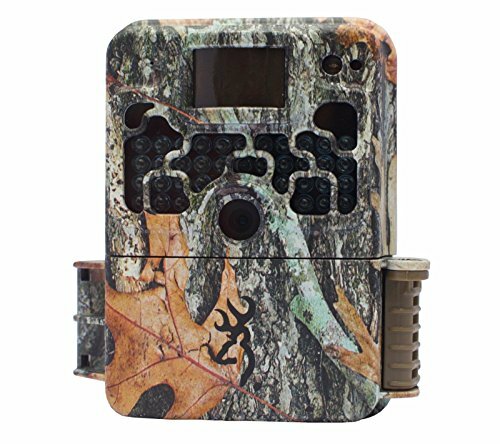 However, it is one of the most convenient game trail cameras out there that can provide you a good experience into your hunger activity. So, consider this camera when tracking your subjects in wildlife in your different hunger activities to make it worthwhile and capture the best experience. Some trail game cameras are having problems capturing quality images that provide a clear picture of its subjects. However, with the Browning Command OPS trail game camera, the experience would now be brought to another level. The Command OPS trail game camera provides a high sensitivity camera capture which makes its images more accurate as compared to other forms. It produces 14-megapixel photos which bring you a clear picture of your target as clear as for how it was captured in real time. It is also capable of providing an HD 720p Video with an audio recording which makes you record any of your targets even in motion at any particular point in time. It also has a Lightning Fast .67 Second Trigger speed that can capture anything even at action or at a quick pace. Moreover, when it comes to detecting your targets, it has a long 55 ft. Detection Range and 60 ft. Flash Range which makes you capture movements of your subject as smooth as ever. It has an Invisible Flash Technology that doesn’t produce any visible light which prevents targets such as animals from getting surprised or leaving immediately. Another improved feature of this camera is its Smart IR Video Detection which allows it to continually record as long as there is a movement which the camera detects. This additional feature assures the users for a perfect catch of targets in motion and makes it less troublesome for them to adjust the camera settings continually. It also can record clips of subjects during day and night at a limited time. It can record up to two minutes during the day while up to 20 seconds on the evening. 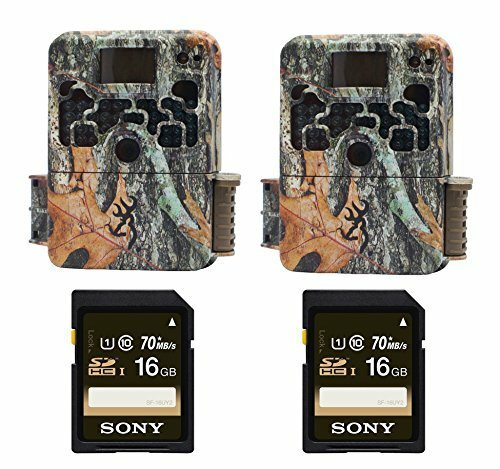 Though this feature has a limited time capacity, it is unquestionable that this trail game camera is one of those which you can rely on upon with your hunger activities with its highlight features compared to a regular camera. 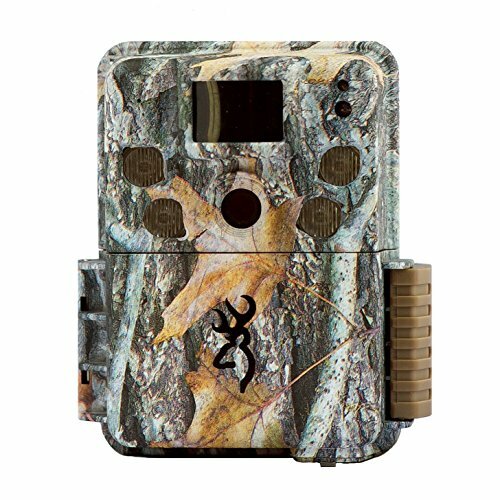 As the other Browning models, the Browning Strike Force HD 850 Trail game camera once again provides you with a professional style of trail gaming experience. With its upgraded function compared to the previous, this one intends to enhance your trail game experience to new heights. With its upgraded feature of capability to capture 16-megapixel images, your hunger activities would now be more thrilling as images of your targets are more precise and accurate than before. Also, as always, it provides you with the videos of 1280 x 720p High definition with an audio recording. It has a capability of .4 seconds trigger speed which lets you capture subjects at a quick time as possible. This camera also features a PIR Motion sensor, with an approximate detection range of 80’ for easy detection of target’s motion. Moreover, it is also capable of recording to SDX cards up to 512 GB, so you do not have to worry about your memory running out that easily. It is easy to set up and functions well. Though there are instances where the daytime images lack some color to it, and there are times that recorded videos do not have an audio support. However, one thing to be commended with this camera is the sharpness of its images and also its highlights which are specially designed for hunger activities. Its design is cool and has a well-designed cover to avoid being destroyed quickly. However, amidst all these irregularities, it is still one of the recommended cameras for trail gaming. This is one of the recommended tools in the Browning brand. This Browning Recon Force Camera is upgraded more to provide the quality assurance for trail gamers around the world. With its new features, you can consider picking this up as one of your choices when it comes to going to trailing activities. With its new feature, the Browning Recon Force digital trail game camera is capable of providing its user with the highest quality of 10-megapixel images in the industry. From the limitations of the past browning brands that are only capable of producing 1080 x 720 videos, it has now upgraded to 1920 x 1080 FHD videos with a sound recording which can record from 5 seconds up to 2 minutes time-length. You can even playback video clips of that giant buck on a 60+ inch TV without losing any clarity. Now, you can play your videos on the big screen without any worries. It also features an Infrared LED illumination which makes it useful even at night. Now you can all monitor at any point of time during the day. When it comes to night-time, along with its Infrared illumination, BTC7FHD can also maximize its flash range up to 100 plus foot range which can completely illuminate a wide area around your place when taking images of your targets. Another feature which completes its highlights is “Zero Blur” technology which shoots photos at night-time using the fastest shutter speed to eliminate motion blur from fast-moving animals. Now your images are assured on its best state once you have it. 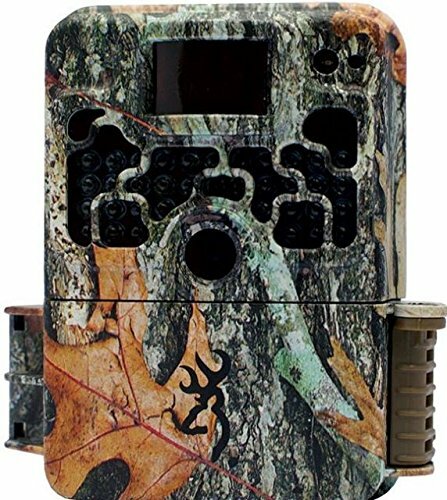 At first, you will just have a hard time configuring the parts and how it functions, but once you have learned the way how to use it, then it is one the trail gaming cameras that can provide you with the best service and assures you with best images for your hunting activity. Camera would not accept micro SD with an adapter. As the Browning brand continues to produce new cameras that can answer to the extreme need of users for better quality, an upgraded feature for Strike Force has been made. With Strike Force Elite BTC5HDE, our daily record of wildlife during our trail gaming activities would never be the same again. Its capability to produce 10-megapixel quality images, your capture of targets would be more accurate than the usual. Along with its new feature in which you are provided with three resolutions to choose from, your resolution size would now depend upon your own choice. It also works with its time lapse function, so every change in pattern would now be more accurate, and every single frame can capture any movement of your target. It also has an External LCD Status Display of Time, Date, Moon Phase and Temperature Display to keep you monitored at all times. It produces good quality images and works perfectly, and its camera features work great. It is easy to set up at first but be more accurate on where to place it correctly for there may be tendencies when it would not work and its features like its detection range or surveillance will not be suitable for the place where you positioned it. Like other Strike Force Elite cameras, this one works great for outdoor activities and has an SD card of 16GB that can store your images up to the extent, though you still need to be wise in choosing a standard class 4 SD card so it would work well with the camera. Overall, you can consider this as one of your choices for your trail game experience. Like any camera of the Browning brand, the Browning Spec OPS FHD camera is another product which provides us with a new level of trail gaming experience with its unique features that will take your hunting skill to the next level. 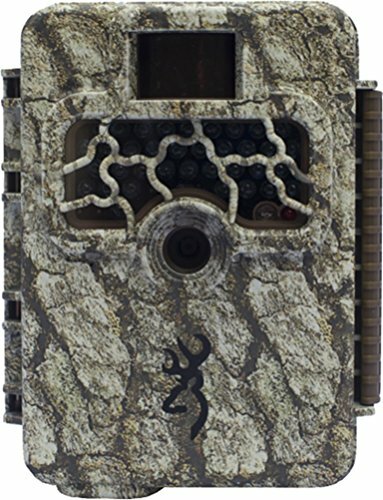 The Browning Spec Ops camera is specially designed for real hunting. With the physical design of it, the skin color of the camera is made to blend and went to be invisible in the eyes of targets during hunting time. Along with its camouflage feature is its ability to capture subjects with quality. It is capable of producing 10 megapixels images and has an invisible IR Illumination to make things as stealth as possible. Like the Recon Force camera of the Browning brand, it is also capable of producing 1920 x 1080 HD video for the sharp and bright capture of movements of your targets during your hunting spree. During night-time, the Spec OPS camera has a 70′ nighttime flash range for better clarity of moving targets during the dark and precise detection of their movements. It also has a Zero Blur technology which shoots pictures during the night using the fastest shutter speed to eliminate motion blur from moving animals and provide the most accurate form of an image of the target animals. It has a fast trigger speed of .067 which captures images at a real quick time. Though, there are times when the trigger speed will not work the way it supposed to be. There are delayed times when motions of animals are not recorded immediately and times when there is nothing visible in the recorded video. To assure that things are working according to plan, check the settings of the camera when setting it up and you will maximize the potential of this camera. Overall, this camera is excellent as a surveillance camera at your home and at the same time, our buddy in capturing our target animals when they are in action. Experience the best scenarios of wildlife or people in the fields with the new technology from the Browning brand camera. With the ability to capture images of 18 megapixels, you can now be assured of quality images with clarity and sharpness better than before. It can also record videos of 1280 x 720p with a sound recorder, which lets you record and feel the ideal scenario outside anytime. The camera also features a passive infrared (PIR) motion sensor with an 80′ detection range and a fast 0.3-sec trigger speed for capturing images in response to movement of your subjects. 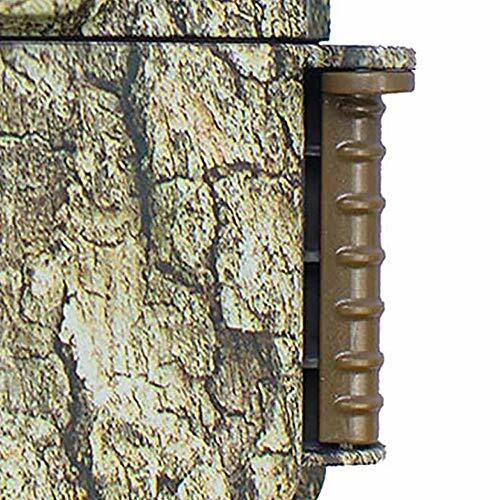 Missing targets during your hunting time would never be a problem any longer. During night-time, the Infrared LED flash has a range of 120’ which covers a wide area to capture motions of wildlife walking around your area during the dark. An additional feature is its ability during shooting mode that captures images at pre-set intervals over a designated period while still shooting motion-triggered pictures. With this new product, Browning’s supplied BuckWatch Timelapse Viewer Software which enables the user to view patterns and changes over that period. You can review your images and video onboard with the 1.5″ color viewing screen. Overall, the new highlights of this camera work great and are suitable for hunting at the same time capturing beautiful scenarios around nature. It takes excellent images and has sharpness in it. Though at first in setting up the product, you will encounter some problems with regards to programming it, but once you get over it, you can maximize the potential of this camera. Another thing you need to consider is choosing the right battery compatible with this camera, it functions with AA batteries, but be more careful in which you would use that would work adequately along with this one. After that, you can thoroughly enjoy everything in your hunting experience up to the next level. As with the other products of the Browning brand, this new technology aims to provide you with a unique experience with its new highlights. 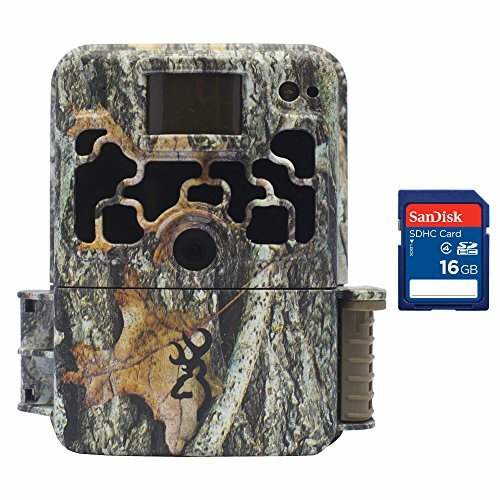 The Command OPS trail game camera is capable of producing 14-megapixel images with bright and sharp structure. It has a PIR Motion Sensor that has 55′ Detection Range which lets you cover a wide space around your place. It also stands with an Infrared LED Flash with 60′ Range to make it useful even during night-time. It has 0.67-Sec Motion Trigger Speed to avoid, blur images due to slow motion detection of your targets plus it provides you with accurate photos at any point in time. It can also record 720p HD videos with an audio recording to perfectly capture events around your base with the best definition. Also, to avoid missing motion of wildlife or subjects walking around our place, it can shoot up to 8 images during its burst mode, so you will have a better grasp of your targets in your pictures that can capture their movements accurately. Its skin is specially made for camouflage effect, so oy won’t be detected quickly and your trailing activity would be as stealth as it can be. 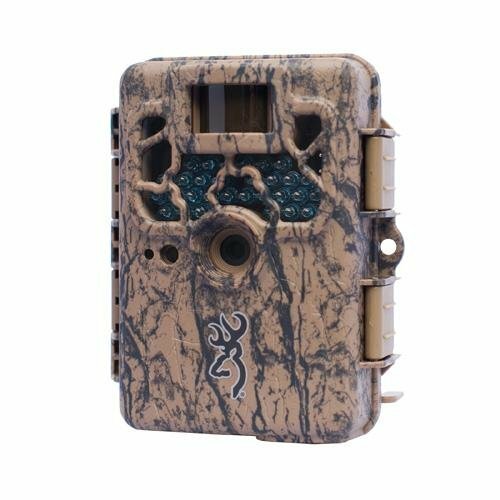 Though it is not that special as with the other browning cameras before, this one still provides you with the best service and its highlights work better compared to other trail game cameras around. Just be careful in setting up and configuring some parts, and you are good to go with your trail gaming activity along with this camera. 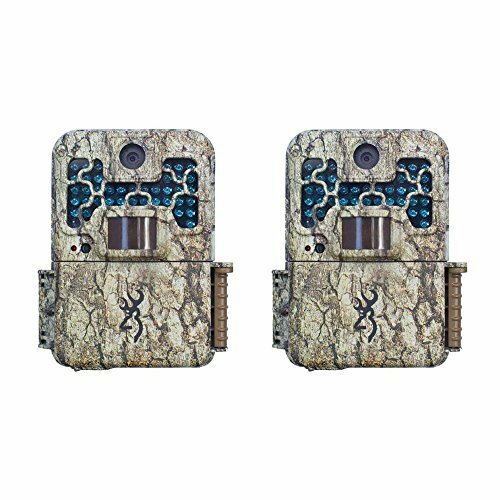 Trail game cameras often have well-built design and a large structure that assures itself with the best service, but with the Range OPS series, it provides you with the best and quality performance even in a small package. This trailing camera has a crisp of 8MP picture resolution that ensures the very best quality pictures of your game, day or night. The Range Ops series also features HD video clips with sound, to capture the best video record of play on your property and provides with the best record of wildlife or your subjects around your base with its quality video recorder. It is capable of Lightning fast 0.67 second trigger time which captures the motion of animals at a quick time, and it has a 60-foot flash range that can cover a wide area around your camp even at dark. It includes Browning Buck Watch time-lapse viewer software which makes you view patterns and changes on your videos and images at a real time. There are times when images are overpowered with its infra-red flash, but with some right adjustments to its settings and some configuration, this one would provide you with the quality service there is. Its detection range works great, but there are times when it can have a problem capturing motions of animals due to its limitations in its scope of detection. Though it is not as good as the other Browning brand series, this one lives up to its style and has some potential that can make it as one of the best hunting cameras there is.